You will need two accounts and two internet browsers like Firefox and Google Chrome. 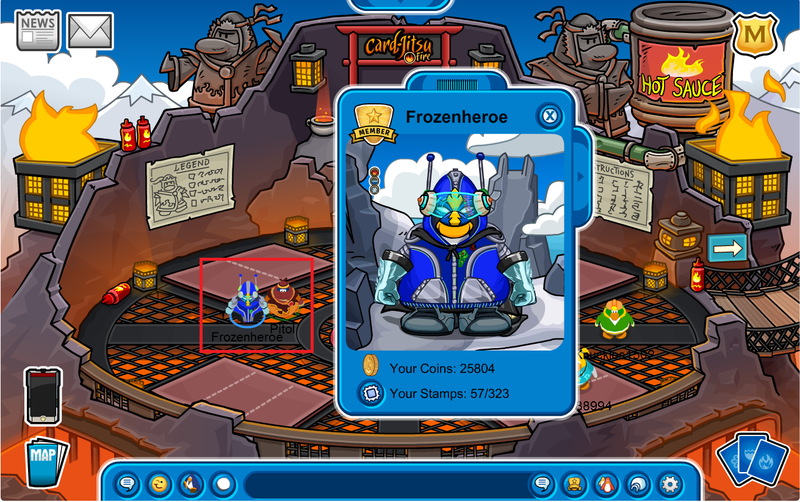 If you do not have two accounts you can just make a new one by creating a new penguin. Both Firefox and Google Chrome are free to download and install. With one penguin, log in to Club Penguin on one browser, say Firefox. Pick a one-bar server since you don’t want other players to join your games. 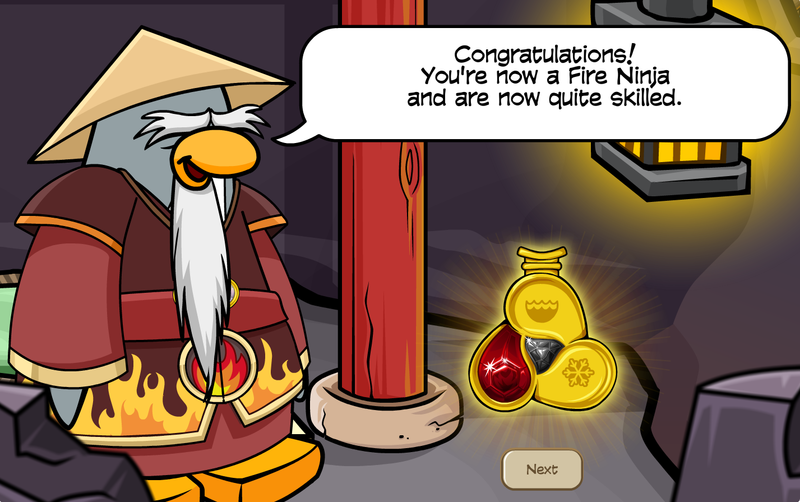 Then, go to the place where you can play Card-Jitsu Fire. With your other or new penguin, log in to Club Penguin on the other browser, say Google Chrome. 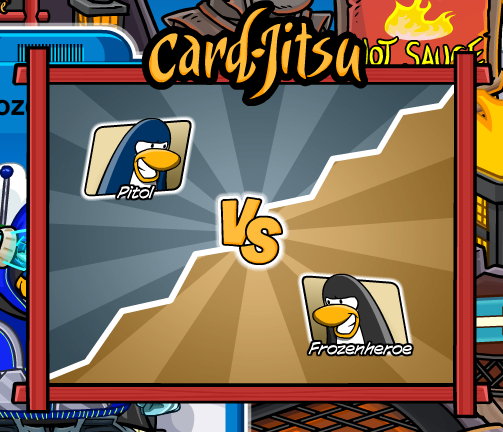 Pick the same one-bar server you chose earlier for your other penguin. 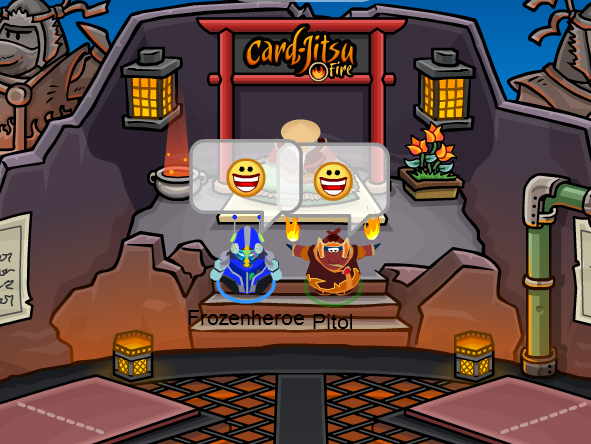 Then, go to the place where you can play Card-Jitsu Fire. Start a game with one penguin. 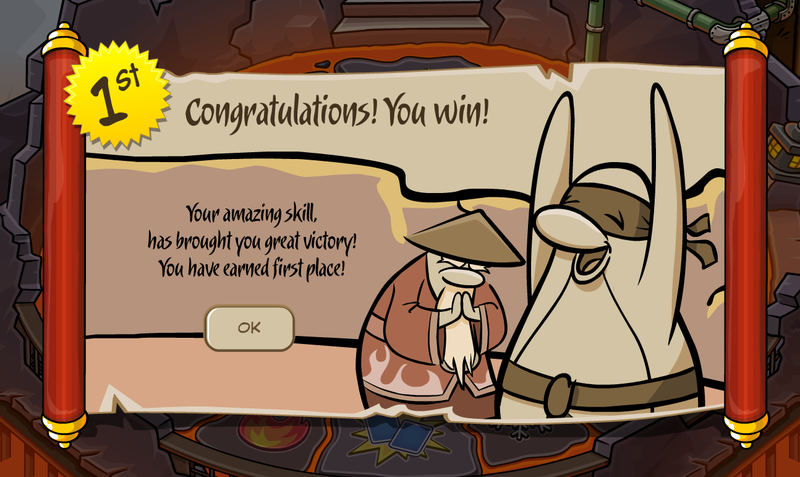 Then switch internet browsers, so you can join the game with your other penguin. From here on, it’s simple. 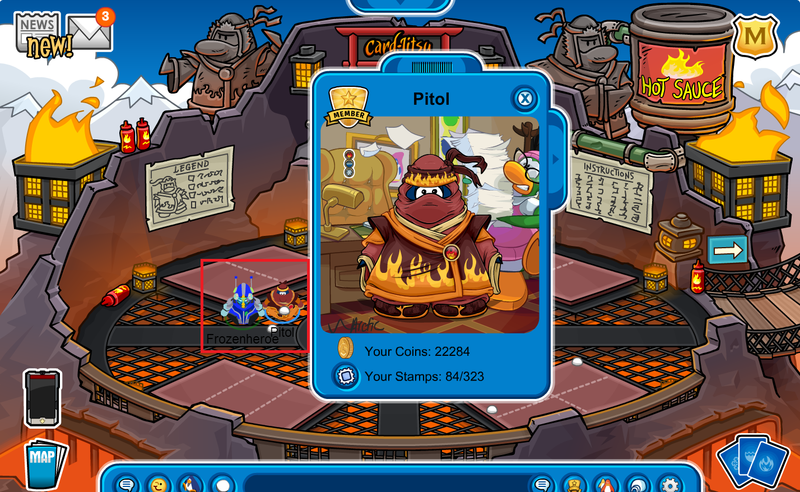 Since I wanted Pitol to win each round, I chose a high card of an element, depending on what the tiles offer me, and with Frozenheroe I chose a low card of that same element, depending on if we’re battling on the same element. You will just have to go back and forth on your internet browsers to see which cards hold each player. Next thing you know, you will be getting that Fire Suit in no time! This makes earning the Fire Suit a lot faster than the regular way! Plus you can finally win that Strong Defence stamp if some of you were struggling in getting it. Hope you enjoyed this tutorial ! 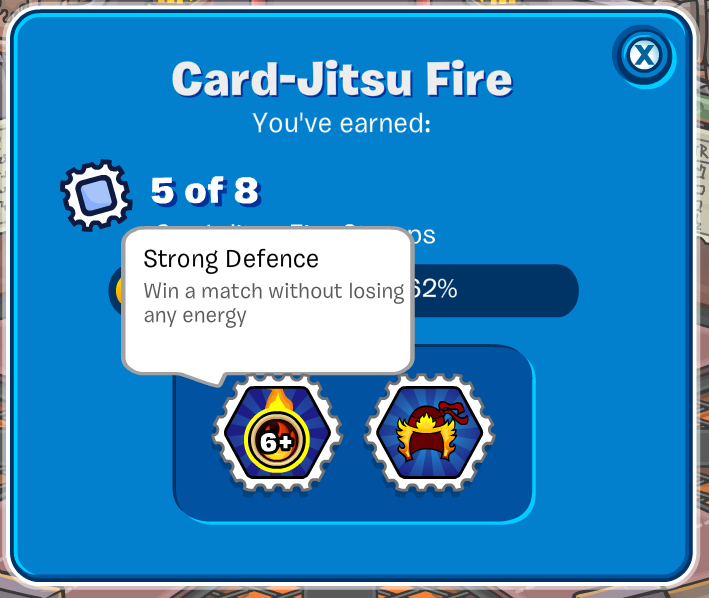 This entry was posted on May 19, 2013 at 2:53 pm and is filed under Card-Jitsu, Tips & Tricks, Tutorials. You can follow any responses to this entry through the RSS 2.0 feed. You can leave a response, or trackback from your own site. This works the same for Water Ninjas ! Thank you Sajo. Please visit http://www.penguinheroe.com as I no longer will post to this site.